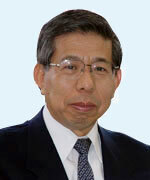 HKS was founded by motorsports legend Mr. Hiroyuki Hasegawa, in 1973. Mr. Hasegawa was the force behind the development of the HKS 700E Light Aircraft Engine, which is one of the most successful engines ever developed for light aviation. Mr. Hasegawa was a former engineer for Yamaha Motor Company, and in 1973, he and his partner, Goichi Kitagawa, started HKS in a dairy-farming shed at the foot of Mount Fuji, in Japan. In July of 1974, Mr. Hasegawa engineered and built the first commercialized turbocharger kits for passenger automobiles, and subsequently developed turbocharger upgrades and bolt-on turbocharger kits that became the foundation of HKS. From their humble beginnings, HKS grew into one of the world’s leading suppliers of aftermarket performance parts for both the racing and consumer markets. Mr. Hasegawa left this earth on November 9th, 2016 at the age of 71. His presence will be greatly missed by all those that knew and worked him. HKS Engines are distributed world-wide exclusively through Quicksilver Aircraft Northeast, LLC.